You are probably already aware of the fact that your pebblecrete driveway, pool or patio surface is ugly, outdated and has numerous stains that you’ve tirelessly tried to remove to no avail. 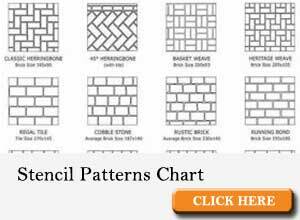 Why do so many people have pebblecrete driveways, pool surrounds and patio’s? 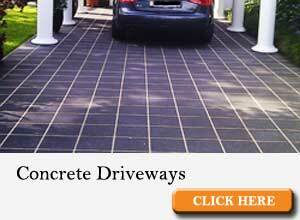 Pebblecrete was created back in the 1960’s and back in those days everyone had pebblecrete driveways. 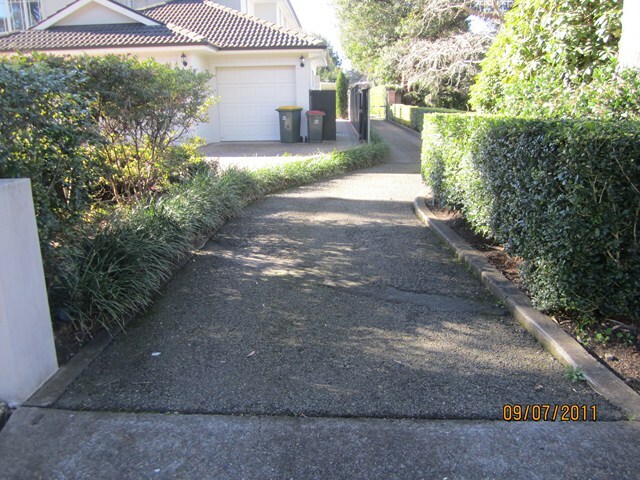 Fast forward 50 years and you still see these tired, old, ugly driveways everywhere and it doesn’t matter if you live in the eastern suburbs of Sydney or in the ‘burbs’. 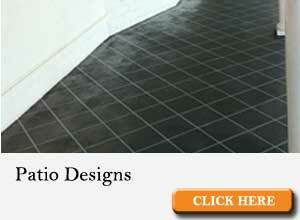 Pebblecrete does not discriminate and you’ll literally see these unsightly concrete surfaces everywhere. Pebblecrete did serve it’s original purpose which was to create a non slip surface, but the reality is we now have an incredible range of attractive non slip surfaces for your driveway, patio or pool surrounds. Perhaps it’s time to get that ‘mini facelift’ or minor renovation you have been wanting for so long. The biggest question we get asked is how do you clean pebblecrete? Unfortunately there is no easy or cheap solution for that. To make matters worse it really doesn’t matter if you do an amazing job of cleaning it as all the stains, mould and algae will reappear some time down the track and you are back to square one. Your best bet is to use natural cleaning products that are specifically designed for pebblecrete surfaces along with high pressure water cleaning. The other alternatives are harsh chemicals or a whole heap of scrubbing with a stainless steel wire brush. 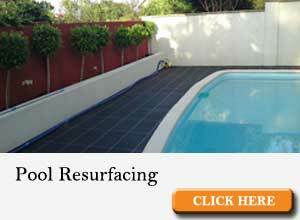 This will greatly help remove the black algae you can see. Yuck. All of those options don’t sound great do they? Has it ever occurred to you that replacing your ugly & unsightly pebblecrete surface is quite simple and incredibly cost effective? Nowadays with the latest in concrete resurfacing techniques, you can replace your ugly pebblecrete surface with some fresh new modern looking alternatives that will truly add great value to your home. In most cases you won’t even have to rip up your existing driveway but instead we can lay a fresh new surface right over the top. Of course our team of experts will analyse the situation and provide you with the best choice for your circumstance. They’ll also take the time to answer any questions you may have so you can feel confident in moving forward with your fresh new design. Did you realise that you can add considerable value to your home by updating your driveway or pool surface with some modern fresh colours and styles? We have a range of modern new concrete colours to choose from and of course an exciting range of concrete stencils or stamped concrete designs available to you. On our initial meeting we can sit down and discuss your specific requirements and what the end result is that you are looking to achieve. What’s it going to feel like when you get a fresh, modern looking driveway that uplifts the whole look and feel of your home? 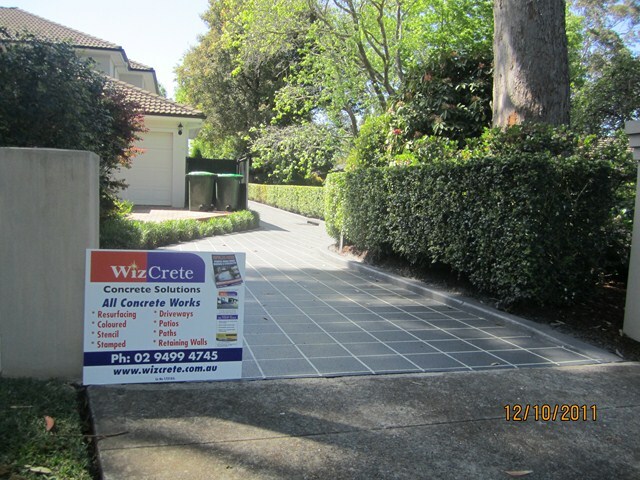 Imagine coming home to a beautiful, modern looking driveway instead of your tired old pebble crete you see every day. A new surface will not only add great value to your home it will also create an attractive area that looks absolutely fantastic. 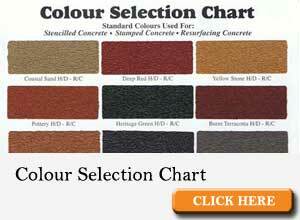 Our most popular jobs are replacing pebblecrete on driveway’s, poolsides and patios and the results are truly amazing. 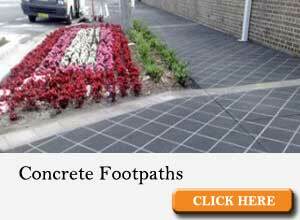 Check out our range of recent jobs we’ve completed we where we’ve either updated from pebble crete to a more modern looking surface or we’ve simply laid down a new concrete surface. Click on the images below to see our extensive range of recent jobs completed in and around the Sydney area. 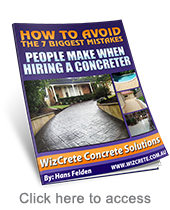 If you are based in Sydney then our qualified, professional contractors can look after your new pebblecrete resurfacing around your pool, driveway or patio ensuring your job is completed correctly the first time. Be sure to check out our outrageous triple guarantee so you know you’ll be satisfied with the end result. For a free quote call us on the number below.